Ithaca, NY— A pair of continuous wave ZephIR 300 wind lidars have been acquired by leading private institution of higher learning, Cornell University. Professor Rebecca Barthelmie, Croll Fellow, directs the Wind Energy Research Lab at Cornell University, and is a previous winner of the Scientific Award from the European Wind Energy Academy for ‘her extraordinary efforts and achievements in the field of wind energy research’. The Lab took possession of two new ZephIR 300 lidars which are specialist equipment for ground-based remote sensing of wind flow in the atmosphere. The University selected ZephIR 300 in order to accurately and precisely measure the wind and turbulence interactions between the atmosphere and wind turbines. 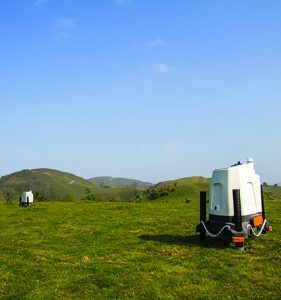 ZephIR 300, a continuous wave (CW) wind lidar provides high resolution measurements at an unmatched data rate of 50Hz – every second, 50 points are measured in the free space targeted by the sensor, and chosen by the user, anywhere from 10 metres (33 feet) up to 200 metres (656 feet). This type of CW wind lidar gives very accurate measurements of the wind speed, direction and other characteristics including Turbulence Intensity (TI). The effect of TI on wind turbines is of continual interest as the impact of irregular wind loading can effect both production from the turbine, but also the operating costs of the turbine with increased stresses and strains reducing component life. The Cornell Wind Team is preparing for an international experiment at the Canadian Wind Energy site on Prince Edward Island. Professor Barthelmie joined Cornell University in 2014. She previously held positions at the Danish Technical University, Edinburgh University and Indiana University. 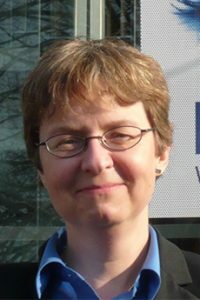 She is author of over 110 journal papers, 330 conference papers and reports and is co-chief editor of the journal Wind Energy. Campbell Scientific designs instruments and systems used worldwide in industry and research. They market the ZephIR 300 and ZephIR DM wind lidars, the best wind lidars in the world, supporting clients with every aspect of a wind energy campaign onshore, offshore, and turbine-mounted.